Parent on behalf of Student (Student) filed a due process hearing request (complaint) with the Office of Administrative Hearings (OAH), State of California, on June 17, 2013, naming Newport-Mesa Unified School District (District). The matter was first continued for good cause on July 24, 2013. Administrative Law Judge (ALJ) Judith L. Pasewark heard this matter in Costa Mesa, California, on October 15, and 16, and December 3, and 4, 2013. Tania L. Whiteleather, Attorney at Law, represented Student. Ms. Whiteleather’s assistant, Hadassah Lynn Foster, attended the hearing each day. Student’s mother (Mother) also attended the hearing each day. Student attended the hearing on December 4, 2013, for testimony purposes only. S. Daniel Harbottle, Attorney at Law, represented District. Heidi McDowell, District Special Education Coordinator, attended the hearing on behalf of District. A continuance was granted for the parties to file written closing arguments and the record remained open until close of business on January 2, 2014. Upon timely receipt of the written closing arguments, the record was closed and the matter was submitted for decision. 2 On July 7, 2013, Student’s fourth issue of whether the District denied Student a FAPE which resulted in denial of Student’s rights under Section 504 of the Rehabilitation Act of 1973, the Americans with Disabilities Act, and state civil rights law, was dismissed. Student contends that, after her December 6, 2011 accident, the District failed in its Child Find duties, and therefore failed to identify and address her unique educational needs resulting from traumatic brain injury through assessment and an individualized education plan. While the District was aware of Student’s injuries, and created a 504 Plan for Student upon her return to school, the District failed to offer Mother an assessment plan to determine eligibility for special education. Student also contends that the District failed to provide Mother with required procedural safeguards for special education, and as a result, Mother did not request an assessment for special education until June 2012, approximately one week before Student’s graduation from high school. Therefore, Student was not assessed until July 2012, and was denied an IEP meeting, determination of eligibility for special education, and a special education support and services, necessary for her to obtain a “legitimate” high school diploma. Student further contends Mother and Student were denied any ability to participate in the IEP process, and Mother contends she did not waive, nor would she have waived Student’s graduation requirements. These contentions, however, are not supported by the evidence. The evidence supports a finding that Mother did receive the procedural safeguards, and actively participated in preparing Student for high school graduation. Lastly, Student contends that the District denied Student a FAPE by graduating Student from high school with a regular diploma, and that her graduation is invalid as she did not meet all of the District’s graduation requirements. Student has presented no persuasive authority under the Individuals with Disabilities Education Act (IDEA) to support her contention that Student’s graduation represents a denial of FAPE. Further, determination of the validity of Student’s graduation status is outside the jurisdiction of this due process hearing. Student’s graduation from high school with a regular diploma terminated her eligibility for special education, rendering prospective special education and related services moot as of June 21, 2012. 1. Student is 19 years old and continues to reside with her Mother within the jurisdictional boundaries of the District. While Student is not subject to a conservatorship, Mother voluntarily holds Student’s educational rights. Mother filed this complaint one year after Student’s graduation from high school. 2. During the 2011-2012 school year, Student was a senior in high school, attending Newport Harbor High School. Prior to her accident on December 6, 2011, Student was a typical high school student, albeit with mediocre grades. It is noted that throughout her academic record Student had a long-standing history of weakness in math. Student had passed the California High School Exit Examination, and was taking classes to fulfill state and District requirements for high school graduation, scheduled for June 21, 2012. It is undisputed that prior to December 6, 2011, Student was on track for graduation, and did not qualify for special education and related services. 3. On December 6, 2011, Student was hit by a car, and suffered significant and life threatening injuries. It is undisputed that Student suffered traumatic brain injuries which resulted in deficits in short-term memory, verbal memory, organizational skills, attention span and endurance, and gross and fine motor skills including handwriting and balance, each of which affected her education upon her return to school in March 2012. Ultimately, when finally assessed in July 2012, Student would have qualified for special education under the eligibility category of traumatic brain injury (TBI). 4. The District was well aware of Student’s accident and the aftermath. The accident itself occurred just outside the high school campus, and school personnel were among first responders. District personnel visited Student in the hospital, and maintained contact with Mother regarding Student’s medical status. Mother cooperated with the District in providing authorizations and medical releases to Denise Ellis, the school nurse, and the District continued to obtain and update medical information on Student. What information was not obtained directly from Student’s medical providers was provided by Mother. In addition to the head injuries, Student suffered internal lacerations which required a temporary gastrostomy tube, and pelvic fractures which required orthopedic surgeries. All of these injuries required comprehensive rehabilitation. Throughout Student’s post- accident period from December 6, 2011, until completion of Student’s special education assessment in August 2012, Mother worked closely and cooperatively with the District, and sought District assistance on an ongoing basis. 5. On January 24, 2012, Student was released from the rehabilitation center and returned home. She was not yet ready to return to school, and received no educational instruction. During this time Mother continued to e-mail District personnel, and report on Student’s medical progress. On February 15, 2012, Student’s neurosurgeon, Dr. Muhonen, authorized Student to return to school, noting that she should be accommodated at school initially with a modified program thereafter increasing to full classes, depending upon how Student handled the stress. As verified by an e-mail to the District, on February 28, 2012, Mother believed Student was ready to return to school, and a meeting was set to discuss Student’s possible return to school. 6. A Student Study Team (SST) meeting was held on February 29, 2012, which was attended by Mother and Student’s counselor, Taylor Govaars. Ms. Govaars was not a particularly strong witness at hearing. Notes from this meeting provide little information other than restatement of Student’s medical status and resulting areas of deficit, such as short-term memory and judgment. It is clear from the testimony of Ms. Ellis and Mother, that Mother was concerned that Student “had lost her filter” resulting in safety concerns for Student, specifically, Student’s ability to find her way to and from class, make her way in a crowd, crossing the street, and knowing who to go to for help. Mother also discussed Student’s depression from staying at home, and desire to return to school and her friends on campus. It was also undisputed that Student was still attending out-patient services for counseling, physical therapy, and occupational therapy which interfered with Student’s ability to attend at school. Home/hospital tutors with a visitor pass (to the school campus) were recommended as the temporary plan of action. 7. On March 2, 2012, Ms. Ellis prepared a Request for Home/Hospital Instructional Services with Jerry Murray, Student’s math teacher, as the assigned home teacher. This request was signed by Student’s physician on March 5, 2012, and Student was approved for home/hospital instruction. At that time, Student was also provided permission to come to campus as a visitor for one-to-two hours of instruction. Safety issues were addressed with Mother dropping Student off at the attendance office, Student signing in as a visitor, and a teacher meeting Student at the office to walk her to the classroom. During this home/hospital period, Mr. Murray taught Student for an hour and a half, three times per week in the classroom, in a one-to-one format. He also assisted in transitioning Student back into school and “back up to speed.” During his time with Student, Mr. Murray worked on English by having Student read a book and write a journal; he had Student make up the math she missed during the second quarter; he had Student start taking pictures for her video class; and generally prepared her for a full-time return to class. Student members of the class also collaborated to help Student with her work and reinforce what she was learning. Mother consented to this program. 8. On March 20, 2012, the District held a second SST meeting. Mother, Student, Ms. Govaars, and Mr. Murray attended this meeting. Ms. Ellis’s notes indicate Student had good stamina throughout the school day. Student came to campus for a modified day with one-to-one instruction with Mr. Murray. Although Mr. Murray testified he did not modify Student’s classwork, the meeting notes indicate Student’s curriculum had indeed been modified in order to assist Student to achieve academic success. Further, it was noted that Student appeared well and genuinely excited to begin attending school full-time. 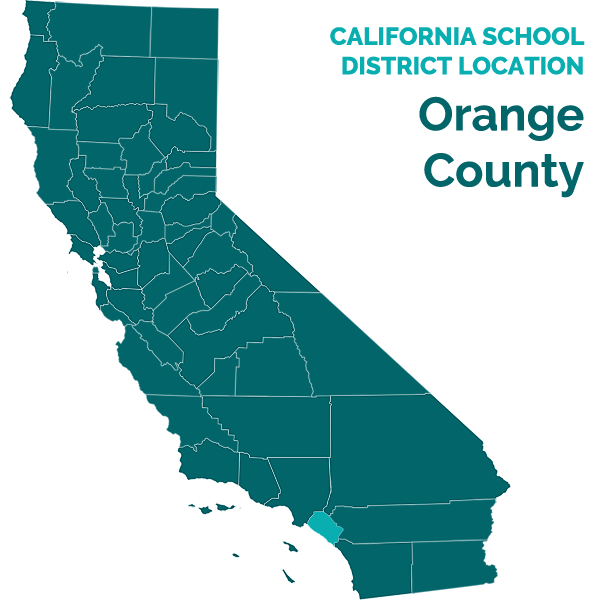 At this meeting, Mother informed the District that she had decided to obtain neuropsychological testing through Children’s Hospital of Orange (CHOC), to determine Student’s post-accident cognitive baseline, and to determine her ongoing academic needs. 9. Charlotte Smith, the school psychologist, did not attend the March 20, 2012 SST meeting, however she provided Ms. Govaars with a “special education packet,” including a copy of procedural safeguards, to give to Mother at the meeting. Ms. Govaars recalled giving the packet to Mother on March 20, 2012, and briefly discussing special education with her. Ms. Govaars insisted that Mother firmly indicated she did not wish to pursue special education at that time. 10. On March 23, 2012, another SST meeting was held with Mother, Student, Ms. Govaars, and other District staff. Ms. Ellis’s notes indicated all agreed Student was doing very well and was achieving academic success. Both Mother and Student wanted Student to return to school full-time. As a result, Student was released from home/hospital instruction on March 26, 2013, with no restrictions (except no physical education). 11. Ms. Smith attended the March 23, 2012 SST meeting. As a 32 year school psychology veteran, Ms. Smith testified well and was highly credible. Her purpose for attending the meeting was to explain special education to Mother and answer questions. Ms. Smith asked to assess Student, and explained the special education process to Mother. Ms. Smith explained to Mother that special education would mean more supports for Student. Mother, who had already committed to the CHOC assessment, felt additional assessments, would be too much testing for Student. Ms. Smith told Mother she would contact CHOC to collaborate and avoid duplication of assessment tools. According to Ms. Smith, Mother wanted Student to graduate in June, and clearly was not interested in special education at that time. Mother was aware that if an assessment plan was presented, Student’s IEP would not be until May 2012, which Mother thought too close to graduation. Further, Ms. Smith strongly averred that if Mother had agreed to a District assessment, she would have prepared the assessment plan, collaborated with CHOC, and assessed Student at school. Although Ms. Smith believes Mother understood her rights and the special education process, she also acknowledged that as of March 23, 2012, Mother was going through “terrible times.” While Mother may not have been thinking clearly, she was nonetheless seeking graduation, not special education at that time. This was substantiated by Ms. Govaars, who recalled Ms. Smith asking Mother if she had gone over the special education packet (given to Mother on March 20, 2012), to which Mother indicated, yes, but she wanted a 504 Plan, not a special education assessment. Unfortunately, no special education assessment plan was prepared or presented to Mother for her consideration, reflection, acceptance, or rejection. 12. On March 27, 2012, an initial 504 Service Plan (504 Plan) was prepared to modify Student’s regular academic program with Section 504 accommodations.3 Mother attended this 504 Plan meeting, along with, among others, Tina Case (Assistant Principal at Newport Harbor), Charlotte Smith (school psychologist), Taylor Govaars (Student’s counselor), Denise Ellis (District nurse) and Jerry Murray (Student’s teacher). While the validity of the 504 Plan is not in issue in this hearing, the plan itself did identify Student’s TBI and several areas of deficit, and provided accommodations to support these areas of need, specifically, extended time on assignments and tests; open note exams, if needed; access to teachers‟ notes; preferential seating; and a health pass when fatigued. Mother signed and consented to this 504 Plan. 3Section 504 et. Seq. of the Rehabilitation Act of 1973 requires school districts to provide education and related services designed to meet the needs of students with disabilities as adequately as the district meets the needs of students without disabilities. In contrast, to be eligible for special education and related services under the IDEA, a student must have a physical or mental impairment that substantially impairs learning. 14. The CHOC evaluation, while not educationally based, contained two pages of recommendations to assist Student in her areas of weakness. Interestingly, the only recommendation for a school evaluation was in the area of occupational therapy. The remainder of the recommendations, which focused on memory, attention, planning, organization, and executive functioning, were presented in the form of accommodations, many of which were addressed in Student’s 504 Plan. 16. In the June 14, 2012 meeting, Mother asked about what services were available from the District, including special education and withholding Student’s diploma. Ms. Smith explained the special education assessment process, including the 60-day timeline for assessment. Ms. Smith explained that Student’s 504 Plan would cover her in a college venue, and pointed Mother towards the Acquired Brain Injury Program at Coastline Community College. Mother had already submitted an application to this program. The District also suggested that Mother contact the Department of Rehabilitation, MediCal, and Social Security for services and additional options. Ms. Smith provided Mother with a copy of the procedural safeguards, and also requested she obtain a power of attorney from Student, as Student was age 18. It was also at this time that Mother received the rude awaking from Dr. Case, that Student had enough credits for graduation and would meet her graduation requirements in order to receive a regular high school diploma. Dr. Case, as with the other District staff, maintained there was no doubt in her mind that Mother had consistently wanted Student to graduate with her class, not merely “walk” at the graduation ceremony. The District sought the appropriate administrative waivers in order for Student to graduate on June 21, 2012. 17. The District agreed it would assess Student, however, Dr. Case informed Mother that Student had legally earned her diploma, and would graduate with her class on June 21 2012. An assessment plan was sent home with Mother, signed by Student, and returned to the District on June 19, 2012, a mere two days before graduation. The District completed its initial Psychoeducational Multidisciplinary Assessment and Report on July 31, 2012. A Speech and Language Assessment and Report was completed on August 17, 2012. Although the assessment report makes no determination of special education eligibility, it is clear from the assessment results and recommendations that Student had unique needs in the areas of oral expression, math reasoning, written expression, executive functioning, cognitive association and attention and cognitive planning which would have qualified her for special education and related services under the category of traumatic brain injury and/or speech and language, if assessed at any time after December 6, 2011. The District did not hold an IEP meeting to discuss the assessments as Student had graduated with a regular diploma on June 21, 2012. 18. The State Board of Education prescribes certain courses of instruction which are required of all students. The District’s Board of Trustees has prescribed additional required and elective instruction to meet the educational needs of students in the school district. In order to receive a regular high school diploma from the District, a student must complete: a total of 230 units; 40 hours of community service; a technology class or performance test; Algebra I with a passing grade; a Senior Exit Experience project during their senior year; and the California High School Exit Exam. A student has until the first day of school of the following school year to complete graduation requirements and still obtain his or her home school diploma. The District also provides alternate means for completing the prescribed course of study to obtain a regular diploma. 19. It is undisputed that Student was unable to finish the fall 2011 semester of her senior year of high school. As confirmed by Matt Johnson, Student’s English teacher, Student did not complete her first semester English class due to her accident on December 6, 2011. As instructed by the District, Mr. Johnson engaged in “grade freezing,” a practice authorized by the District, and done by Mr. Johnson on several previous occasions. In Mr. Johnson’s class grades were based upon a student’s performance and practice on tests, projects, and homework. In the grade freeze, Student’s first semester grade was based upon the work she completed prior to her accident. The District authorized the grade freeze in all of Student’s first semester classes. Mr. Murray, Student’s first semester teacher for Business Math, also gave Student a grade based upon her performance as of December 6, 2011. Ironically, Student received an “A+” in this math class, in spite of the fact that math was an area of significant weakness for Student prior to her accident, and she did not complete the required project. Mr. Murray emphasized that grades were based upon turning in assignments, not tests or quizzes. Student earned an “A+” simply because she did all of the required work necessary. It is undisputed that semester grades were sent home within two week of the end of the semester. It is of note that Mother did not express concern regarding Student’s first semester grades when received. Nor did she raise any concerns regarding “unearned” credits. To the contrary, she agreed that Mr. Murray would continue teaching Student during and after her transition back to school. 20. Ms. Govaars, as Student’s counselor, was responsible for monitoring Student’s graduation requirements. Ms. Govaars requested an administrative waiver of Student’s humanities requirement, as well as the partial waiver of community service hours. As explained by Dr. Case, waivers are an administrative function, which do not require parental consent. The District may waive content, not credits, and Student had in excess of the required credits for graduation. As further explained by Stephen McLaughlin, Ph.D., Director of Secondary Curriculum and Instruction for the District, graduation requirements are established by the school board; however, a waiver of requirements may be authorized through a Request for Alternative Graduation Requirement. Waivers are generated at the school site level by the Principal or District designee. A meeting is then held to determine if the waiver is appropriate, i.e., has the student met the requirement in another fashion. Parents are not sought out for input or consent in this process. Although a parent may request a waiver, none has ever done so. 21. In Student’s case, the humanities requirement was waived. Student had taken a Visual Imagery course, which was approved to satisfy the humanities requirement as an “equivalent” course. Student selected her 2011-2012 senior year classes in spring 2011. Student enrolled in the Visual Imagery class at that time. Her first choice, Photography, a bona fide humanities credit, was full. The District’s determination to find the Visual Imagery class “equivalent” was not capricious, and indeed, for the 2012-2013 school year, the Visual Imagery class was added as a fully qualified humanities class. 22. The District also waived five of 45 of required hours of community service. Ann Brown, the Community Service Support secretary at Newport Harbor, described her general business practices regarding the community service program. She has no independent recollections regarding Student’s actual community service. Pupils fill out a verification form for community service performed which is entered onto the student’s community service record. Ms. Brown has no personal knowledge of whether a student actually completes the community service listed, whether the hours were ever attempted, or whether another person, such as a parent, completed the time on behalf of a student. In any event, the District reduced a pro rata share of hours based upon the period of time Student was not in school. Again, it does not appear that Student was singled out for waiver of her community service hours. Ms. Brown, Dr. Case, and Ms. Govaars all testified that pro rating community service hours is a common practice for students who do not attend school for a full year. Further, Mother was a willing accomplice in manipulating Student’s community service hours by performing several hours of community service on Student’s behalf. 23. The high school site also has discretion regarding Senior Projects. Dr. McLaughlin noted that Senior Project Guidelines are “suggested” rather than mandatory. Further, the Senior Project is embedded in the senior year English class. A Senior Project is comprised of two components: (1) reading of a book and presentation of a book report; and (2) making an oral presentation, described as a “fair well address from high school.” Mr. Johnson, Student’s English teacher, supervised Student’s Senior Project. Student did not read the same novel with the other students, nor did she write a book report. Instead, Mr. Johnson allowed Student to read a different book and submit her writing journal in lieu of a written book report. Student acknowledged she was not tested on the book she read; however, she read the book, did not have difficulty reading it, and remembers its content. 24. Instead of an oral presentation in front of her class, Student was allowed to make a video presentation. Student testified that with the help of two of her friends, she finished her video. She also indicated that she did the same type of video as the other students in her class, and all of the students worked in groups of three. Mr. Johnson indicated the video presentation met the requirement for oral presentation, as Student narrated it. Further, Mr. Johnson has allowed other pupils to submit similarly modified projects as well. 25. Admittedly, Student’s Senior Project was not completed prior to the graduation ceremony. The District, however, allows students to complete graduation requirements after the graduation ceremony and still be awarded a regular diploma with their graduating class. The evidence shows that Mother participated in seeing Student follow through and complete the modified Senior Project, as described by Mr. Murray. 26. Mother’s testimony and the evidence are wildly contradictory. Understandably, in December 2011, Mother’s primary concern was Student’s survival. In January and February 2012, Mother concentrated on Student’s recovery, and by March 2012, she was focused on Student’s return to school and graduation. Initially at hearing, Mother steadfastly held to her contentions. Mother maintained that she did not receive her procedural safeguards for special education. She insisted Ms. Smith did not explain special education or assessments to her at any meeting. She steadfastly denied she wanted Student to receive a regular diploma and graduate in June 2012, but merely wanted Student to “walk” at the graduation ceremony with her classmates. The evidence does not support these contentions. Mother’s e-mails to District personnel are significant. These e-mails were created “in the moment;” they are genuinely heartfelt, and more reliable than Mother’s testimony recalling a particularly awful time in her life. 28. Mother contends she did not want Student to graduate but only to “walk with her class.” It is undisputed Mother wanted Student to participate with her peers as normally as possible. Again, on redirect, Mother testified that, based upon Student’s academic challenges, inability to complete her classwork on her own or participate in what the other students were doing in class, along with the incomplete graduation requirements, she assumed Student would not graduate. Mother clearly believed that Student emotionally needed to return to school to be around her peers. She is convinced, however, that although Student was “present” in class, she was not benefiting from her education. This does not parallel other testimony and evidence. Although Mother did not formally request a diploma, it clearly appears she wanted Student to graduate with her class. Mother may not have been thinking about the technicalities of graduation or the impact of a regular diploma on special education, but her actions and communications with District personnel support this finding. 29. Mother’s e-mails to District personnel are particularly significant. In April 2012, Mother communicated with Ms. Govaars regarding Student’s Senior Project. She also sought assistance in completing the application for a Cal Grant, which is financial aid for post-secondary education. On May 30, 2012, Mother e-mailed the District and acknowledged that Student had completed all of her community service hours, and “as far as I (Mother) know, she (Student) is on track for graduation.” As late as June 19, 2012, Mother was still e-mailing the District to follow up on Student’s completion of the Senior Project. When Dr. Case informed Mother that Student’s Senior Project could be completed for graduation, Mother sent an e-mail on June 20, 2012, indicating that she had discussed all options with Student, and they wanted to schedule time to meet with Mr. Murray and Mr. Johnson to complete the Senior Project presentation. Mother verified that Student would complete her book report over the summer, and further requested instructions on where to submit the book report for credit. Mother’s two additional questions were (1) where does this leave Student in terms of her diploma; and (2) if Student completes the two missing assignments, will that qualify her for a diploma? Mother’s e-mail of June 22, 2012, also confirms she and Student met with Mr. Johnson to complete Student’s Senior Project presentation. 30. Further, Mother contends she did not agree to waive Student’s community service hours and that Student did not complete the requisite number of hours for graduation. It is undisputed that the District waived a portion of Student’s community service hours. Ms. Brown’s April 25, 2012 e-mail to Mother pointed out that accommodations could be made for Student to satisfy the community service requirement. Mother’s e-mails to Ms. Brown, also point out that Mother actively sought out community service activities. Mother, herself, also testified that she completed some of the activities on Student’s behalf in order to increase Student’s hours. 31. It was not until June 11, 2012, that Mother began to modify her understanding of the ramifications of graduation. This is supported by her e-mail of June 11, 2012, to Ms. Govaars, in which she discovered that Coastline’s Acquired Brain Injury program did not require a diploma for their services, as long as the student was over l8 years old. Mother also indicated she needed to figure out exactly what services the K-12 system provided, and if Student would need these services in the near future. Mother requested a special education assessment at this time. 33. Three primary assessments were presented at hearing. Neither party challenged the validity of any of the assessments. The CHOC Neuropsychological Evaluation was completed in May 2012, with a short addendum added August 2, 2012. The District’s Psychoeducational Assessment was administered in July 2012, and a speech and language evaluation was administered by Cornerstone Therapies in August 2012. None of the evaluations observed Student in the school setting. The CHOC evaluation is a medical neuropsychological evaluation which explored Student’s traumatic brain injury. While there is little, if any, disagreement with the CHOC evaluation, it was not presented to the District for consideration by District assessors. Therefore, the CHOC evaluation will not be further detailed herein. 4Dr. McGill has a M.A. in Counseling and Guidance, Ed.S. in School Psychology, and Ph.D. in Education with an emphasis in School Psychology. 5 Although the assessment report names Charlotte Smith as a member of the multidisciplinary team, she did not participate in Student’s psychoeducational assessment, as she retired in June 2012. Dr. McGill administered the assessment and wrote the assessment report . 35. Dr. McGill has previously conducted three TBI assessments. He reported, similarly to the doctors at CHOC, that TBI is not always immediately identifiable. Sometimes a patient/student exhibits growth, sometimes not. It can take time for a final determination of abilities and weaknesses. Student presented with a highly variable cognitive profile. All of Student’s cognitive processes, with the exception of long-term retrieval, associative memory, auditory attention, perceptual speed, executive functioning, and cognitive association fell within normal ranges. The areas of exception all fell within the borderline range and represent a concern to Dr. McGill. Academically, Student’s overall achievement fell within the low average range, with the expected weakness noted in math reasoning, as well as with written and oral expression. With regard to Student’s behavior and social-emotional assessments, Mother reported more significant behaviors, which Student acknowledged, but indicated things had gotten better since she had been able to regain some of her functional skills. Further, Student reported no social-emotional concern in her self-assessment. Dr. McGill ultimately identified six areas of unique need for Student; specifically, (1) oral expression, (2) math reasoning, (3) written expression, (4) executive functioning, (5) cognitive association, and (6) attention and cognitive planning. 37. Although Student was l8 years old at the time of the assessment, the District did no vocational assessment of Student. No reason was given for this omission, although the information would have been valuable to Student’s post-secondary educators. 38. The District obtained a Speech and Language Assessment from Cornerstone Therapies which was conducted in August 2012. There is no disagreement between the parties regarding the assessment or assessment report, and the written report was admitted into evidence without objection or testimony. In terms of speech and language skills, Student demonstrated difficulty in the following areas: word-finding, sentence formulation, abstract language (including inferencing, problem solving, non-literal language, sarcasm, and pulling meaning from context), emotional liability, social cognition skills, executive functioning (attention, planning, and inhibitory control), and long-term retrieval. 39. The report indicates it will be important for Student to receive therapy focusing on executive functioning. Executive functioning refers to evolving skills which will be constantly changing as Student transitions through the next stages of her life. Student’s delays in abstract language would benefit from therapy. Without an understanding of how to find meaning by using context cues and nonverbal language, it will be difficult for Student to grasp understanding and meaning in her relationships and education. Student requires intervention for improving her verbal expression, including addressing word retrieval and sentence formulation. Further, Student demonstrated delays in pragmatic language and social cognition. For students with TBI, social skills training can be especially useful in dealing with frustration and maladaptive responses. In order to address Student’s speech and language deficits, Cornerstone recommended Student receive two hours per week of individual speech and language therapy to address her areas of weakness. The report also recommended that Student continue to receive counseling to address her feelings and emotions regarding her recovery and to help her learn coping strategies for adapting to her acquired areas of deficit. 40. No IEP meeting was held subsequent to Student’s assessment, as Student has graduated from high school. 41. Dr. Nancy Markel, is a clinical neuropsychologist who studies brain functioning and has extensive experience assessing children for special education and attending IEP meeting. She testified on behalf of Student, although she was hired by Student’s personal injury attorney in connection with Student’s unrelated civil litigation. Dr. Markel reviewed the CHOC assessment, Student’s medical records, and Dr. McGill’s psychoeducational assessment. Results of any assessment of Student done by Dr. Markel in 2013, along with any written report of her conclusions and recommendations have not been released by Student’s personal injury attorney, and remain confidential. Dr. Markel made it clear that her work with Student has been in connection with the civil litigation, not the special education hearing. It is noted that Dr. Markel did not inquire about Student’s educational program, review the 504 Plan, or contact Student’s teachers or the District in any manner. With the exception of the written assessment reports, all information obtained by Dr. Markel came from Mother and Student. Further, Dr. Markel testified by telephone, thereby limiting her impact on this ALJ. Nonetheless, Dr. Markel has substantial experience in special education and provided valuable information in her testimony. 42. Dr. Markel validated the findings of the previous assessments and concurred that brain injuries can impact education in areas such as memory, cognitive abilities, motor skills, attention, and physical endurance. She believes Student needed special education and related services early on after the accident. She found Student to be making a remarkable recovery based upon her initial injuries. Further, Student is capable of moving forward with her education. She can learn (her IQ is average), but she cannot learn effectively due to her TBI. Dr. Markel opined that Student can earn a regular high school diploma with an appropriate program, services, and accommodations. 43. When asked what she felt Student needed as remediation, Dr. Markel repeated that based upon her TBI, Student was capable of obtaining her high school diploma, and emphasized earning a diploma meant actually making up the work and understanding the concepts she missed. She opined: (1) Student needed a one-to-one education, but not in a high school setting; (2) Student needed speech and language therapy as rehabilitation for her brain injuries; (3) Student needed an Assistive Technology (AT) assessment to determine more ways for learning efficiency; (4) Student needed a vocational assessment which addresses her TBI; and (5) Student needs weekly mental health services with a professional experienced with TBI. Dr. Markel recommended Fusion Learning Center for Student. She was impressed by Fusion’s one-to-one teaching, understanding of TBI, and ability to accommodate and modify educational programs for TBI students. 6 Unless otherwise indicated, the legal citations in the introduction are incorporated by reference into the analysis of each issue decided below. 5. In Issue One, Student contends after Student’s life threatening injuries suffered on December 6, 2011, the District failed in its Child Find duty, resulting in its failure to identify and address Student’s unique educational needs through an IEP. The District contends that Mother initially, through her statements and actions, declined to have Student assessed for special education. 6. The IDEA imposes a duty upon school districts to conduct Child Find, in which the district is required to actively search and seek out those students who may be in need of special education and related services. (20 U.S.C. § 1412 (a)(3)(A).) The threshold for a school district’s referral for special education assessment is relatively low, and is triggered when a district has a reason to suspect that a student may need special education services to address his/her disability. (Dept. of Educ. v. Cari Rae S. (D. Hawaii 2011) 158 F. Supp. 2d 1190, 1193-1195.) It is undisputed that the District was well aware of Student’s accident and injuries, including a traumatic brain injury as of December 6, 2011. There is no dispute that the District understood Student suffered a traumatic brain injury, and that Student’s injuries might impact her education and ability to learn. This alone triggered the District’s Child Find obligation. 9. The District’s provision of SST meetings and 504 Plans, are immaterial and do not absolve the District of its Child Find obligations, regardless of whether District staff believed Mother wanted Student to graduate with her class, and did not want to pursue special education. The Child Find obligation is fulfilled when the District presents Mother with a special education assessment plan, and explains what is being offered. This simply did not occur. The preponderance of the evidence indicates that Mother wanted Student to graduate in June 2012. The evidence is less clear, however, that Mother understood the ramifications of waiting to assess Student. Regardless, it was not Mother’s obligation to make the call of whether a special education assessment should be proffered. If Mother had refused consent, as expected by the District, the District would have been completely absolved of any need to further consider special education until June 11, 2012, when Mother finally requested assessment. Further, there is no evidence that the issue was revisited directly with Student once she reached age 18. A Child Find duty is a procedural violation of the IDEA, and therefore, in order to be found in denial of a FAPE, it requires that the violation impedes the child’s right to a FAPE, significantly impedes the parent’s opportunity to participate in the decision making process regarding the provision of a FAPE to their child, or causes a deprivation of educational benefits. The District failed in its Child Find duties, which resulted in an absolute failure for parental participation in the determination of Student’s educational needs, services, or accommodations.7 As such, even though she was not yet eligible for special education, Student was denied a FAPE under the IDEA. 7 Further, without assessment, even the provision of accommodations under a 504 Plan was a shot in the dark. 8 Child Find is a procedural issue and is discussed in Issue One above. 9 The District also contends there is no evidence that the 504 Plan was ineffective. Determinations of the validity of the 504 Plan, however, are beyond the jurisdiction of OAH. 14. Mother initially indicated she did not receive her procedural safeguards from the District. The evidence is to the contrary. Mother later admitted receiving the safeguards packet from the District, as was evident from her e-mail to Ms. Smith. Although, as stated by Ms. Smith, Mother was going through “terrible times,” there is insufficient evidence to conclude Mother did not have the requisite “general understanding” of special education and the assessment process. Further, Mother’s fateful e-mail admission of receipt of the special education packet, also acknowledge she was now ready to discuss seeking special education. This constitutes written evidence that Mother not only received her procedural safeguards, but had understood the information presented by Ms. Smith. The District did not violate Mother’s rights to procedural safeguards. 15. The District, however, did not provide Student with her procedural safeguards or seek her consent to assessment once she turned 18, on May 19, 2012. As such, it represents a procedural violation. Student did not pursue this avenue of argument. The evidence clearly indicates that, at all times, Mother was on top of Student’s education and well-being, and as such Student’s educational interests were well represented. Further, assuming Student would have requested a special education assessment as of May 19, 2012, the ensuing 60-day timeline (see paragraph 17 below), would still have placed Student’s IEP meeting after her graduation on June 21, 2012. Therefore, any such violation would not have resulted in any further substantive damage to Student. 18. Mother, through Student’s assignment of educational rights, consented to a special education assessment on June 19, 2012. Under the 60-day timeline, the District had until a minimum of August 18, 2012, in which to conduct Student’s IEP. In the meantime, however, on June 21, 2012, Student graduated from high school with a regular high school diploma. As discussed below, Student’s graduation terminated her right to special education and related services. The purpose of an IEP meeting is to determine a Student’s eligibility for special education placement and related services, and to develop an IEP for Student’s prospective education, the District. As the District no longer had an obligation to prospectively educate Student, the requirement of an IEP meeting and IEP is moot. 20. Mother did not expressly waive Student’s graduation requirements. Further she maintains that she did not and would not have waived the requirements in order to allow Student to graduate with her class. While the evidence presented at hearing is to the contrary, it is a moot issue. Student has presented no legal authority under the IDEA to support her contentions. Student relies on a constitutional argument that public education is a right to which all children in California are entitled. (Cal. Const., art. IX). Further, while the California Education Code does permit a school district to an adopt alternative means for students to complete the prescribed course of study, no authority exists which transfers any educational rights for students to the school district, and none confers upon the school district the ability to waive a student’s constitutional right to education. While this argument is thought provoking, it is nonetheless beyond the scope of the jurisdiction of OAH. 21 In Issue Three, Student contends the District failed to offer a Student a FAPE during the period of December 6, 2011 through June 17, 2013. The issue, as phrased on its face, is a restatement of Issues One and Two. The underlying issue, however, is Student’s contention that Student did not graduate with a valid regular diploma, and therefore her rights to both prospective special education and related services have not terminated. The District contends that any jurisdiction over special education terminated upon Student’s graduation on June 22, 2012. In order to prevail on this issue, Student must successfully challenge the validity of her grades, her educational transcript, and the administrative decisions regarding her graduation requirements. 22. Student argues that Student has a right under state law and the IDEA to a real public education and a valid high school diploma. The IDEA promises no such thing. 25. Did Student graduate from Newport Harbor High School with a regular diploma? The simple answer is yes. The District confirmed that Student had legally completed all courses and projects required by the state Education Code and local District policies, when it provided her with a regular high school diploma. 26. Student provided extensive testimony that intended to cloud the validity of her diploma based upon Student’s actual academic performance during the 2011-2012 school year. Several areas of concern arose. Student did not complete the course work for her first semester classes, yet was assigned grades for this semester based upon her performance prior to December 6, 2011. As example, Student miraculously received a first semester grade of A+ in her math class, an area of undisputed weakness. Student’s ROP Visual Imagery class was morphed into a humanities requirement. General education classes appear to have been modified (rather than accommodated) for Student without a determination of special education eligibility. A portion of Student’s community service requirement was waived, knowing Mother had actually performed much of the service time on Student’s behalf. Ultimately, however, the District made administrative decisions to waive certain graduation requirements, which allowed Student to graduate with her class. Once administratively determined by the District, Student’s graduation from high school on June 21, 2012, terminated Student’s prospective rights to special education and services. OAH has no jurisdiction beyond the IDEA or California Education Code section 56501 to reconsider or enforce state and local graduation requirements. 1. Student prevailed on Issues One. As a remedy, Student requests she be awarded academic services, transition services, related services, and mental health services “as will be established at hearing.” The District contends that no compensatory education is required as no Child Find obligation arose until January 26, 2012, when Student returned home from hospitalization outside of the district, and the District’s obligation to Student under the IDEA terminated upon her graduation from high school on June 21, 2012. The District also argues it was entitled to a reasonable time in which to understand the functional level and unique needs of Student before being found liable for a Child Find violation. Lastly the District contends that Student failed to show she requires any remediation or services. 4. From an equity standpoint for the District, it appears that no good deed goes unpunished. Clearly, the District did not ignore Student’s traumatic brain injury. As soon as Student returned home from the hospital, on January 26, 2012, the District began meeting with Mother to determine Student’s educational needs. Regardless of the District’s claim it had no educational obligation for Student while hospitalized, Student’s medical condition, while hospitalized, was precarious which legitimately prevented the District from determining any needs for her education or otherwise. After January 26, 2012, the District immediately put into motion a series of meetings with Mother to determine Student’s educational needs. Here, the District followed Mother’s directives to assist Student in completing her last semester of high school and graduate with a regular diploma. The District, however, going against its own better judgment, failed to provide Mother with an assessment plan for her consideration. The District contends it was entitled to a reasonable time in which to determine Child Find. This argument is gratuitous and contrary, because, with Student in her last semester of high school, time was of the essence. Further, the District’s reliance on the later discovered CHOC determination that “it was still too early to determine the extent of any long lasting neurocognitive weakness,” fails to consider Student’s then existing 2012 TBI deficits, which needed immediate consideration. The District did however create a 504 Plan to which Mother consented. Unfortunately, as OAH has no jurisdiction over the 504 Plan, no further determination may be made in this matter as to the effectiveness of Student 504 Plan. 5. The District lastly argues that Student failed to establish the need for compensatory education. This contention bears more consideration. Student graduated from high school over 18 months ago. The District’s assessments are nearly as old. Other than Dr. Markel’s limited testimony, little evidence was presented to determine Student’s actual educational needs. Mother, Student’s counsel, and Dr. Markel emphasized they wanted Student to actually earn her diploma. There has been no determination that she did not do so. 6. In the alternative, Student, now a 19-year-old young woman, with a traumatic brain injury, is also entitled to equitable considerations. Whatever else is said, Student was not given the opportunity to be assessed for special education. Her mother was never provided an assessment plan in March 2012, and given the opportunity to consent. Had this been done, and Mother consented to the assessment, Student clearly would have had an IEP, which would have addressed her academic as well as transitional needs leading up to graduation and beyond. Had Mother, decline assessment or failed to respond, the District’s liability ceased. 7. Other than Dr. Markel’s recommendation of Fusion Learning Academy, no specific compensatory program was proffered by Student, and no further information was provided regarding Fusion. The evidence, however, meagerly gleaned a basis for the award of compensatory education. Both Dr. Markel and Dr. McGill found that Student would most likely require a modified academic program with one-to-one teaching. Additionally, the District’s assessment did not consider Student’s vocational or post-secondary transitional needs. Lastly, the Cornerstone assessment recommended individual speech and language therapy for Student, along with an assistive technology assessment. 8. Due to modern technology, however, this ALJ has taken judicial notice of the Fusion Learning Center web site at www.fusionacademy.com, and notes that Fusion provides programs for special needs students as well as college students “who are looking for tutoring, enrichment, skill building and test prep.” Tutoring is provided at the rate of $65 per hour. Whether Student will qualify for Fusion, remains to be seen. Nevertheless, Student shall be awarded 40 hours of tutoring at Fusion, or other educational tutoring selected by Student, including speech and language therapy, at the rate of $65 per hour, for a total of $2600. Additionally, the District shall provide Student with a vocational assessment, and assistive technology assessment, selected from its list of contracted independent assessors, at a total cost not to exceed $3000. 1. Within 45 days of the date of this Order, District shall pay directly to Student, the sum of $2600 to obtain educational tutoring, including speech and language therapy. 2. Within 45 days of the date of this Order, District shall schedule vocational assessment, and an assistive technology assessment with qualified assessors selected from the District’s list of contracted independent assessors. The combined costs for the two assessments, shall not exceed $3000. 3. The remainder of Student’s request for relief is denied. Pursuant to California Education Code section 56507, subdivision (d), the hearing decision must indicate the extent to which each party has prevailed on each issue heard and decided. Here, Student was the prevailing party on Issue One. The District prevailed on Issues Two and Three.